Inspired by self-portraits created by Frida Kahlo, this workshop will guide you through the process of creating your own self portrait. You will start the session by creating your own image in the style of Frida Kahlo to form the basis of your portrait. 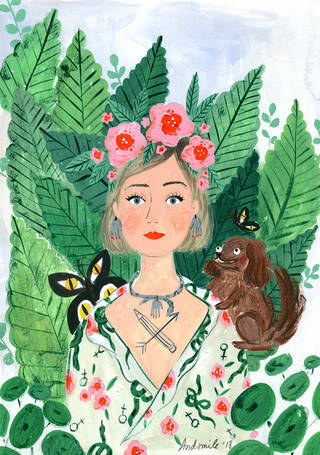 Over the duration of the day, illustrator Viktorija Semjonova will introduce you to the skills needed to create your finished piece, including sketching, colour theory and gouache painting techniques.